The April Book Club Selection is The Book Thief by Markus Zusak. The book club meets the third Wednesday of the month at 10:00 am at the Dundy County Library. See Christine at the library for more information. 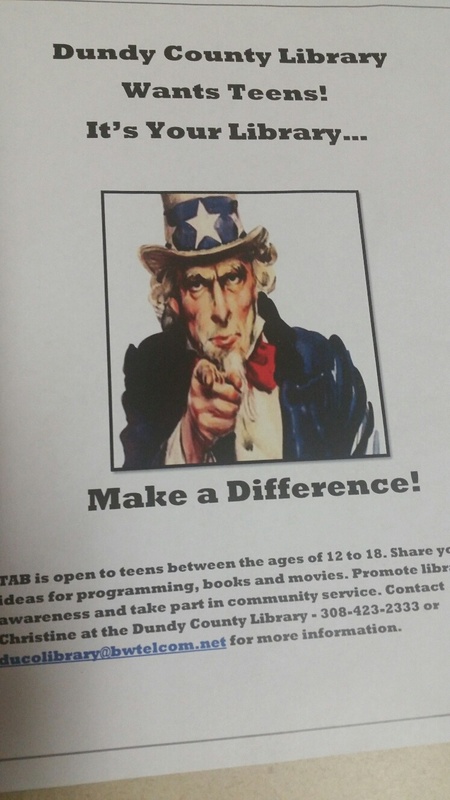 Dundy County Library Wants Teens! Dundy County Wants Teens! It’s your library, make a difference! Pick up your applications for the Teen Advisory Board at the Dundy County Library. Need more information? See Christine at the Dundy County Library.